Before I became a parent, raising a child successfully appeared to be a job that required love, training, sacrifice, determination, and a sound mind. Twenty years later, that list looks very different. I even added a little extra by getting trained in marriage and family counseling and teaching parenting classes (laughing even harder). I believed if I did this thing “RIGHT”, the results would have to turn out “RIGHT”. I will say that being equipped and confident sustained this faulty belief system for a while, but eventually all of our humanity rose straight to the surface. It started when philosophies I knew were beneficial felt excruciatingly painful as I watched my red-faced, screaming infant fight off sleep. Advice I had been given from well-known authors and respected friends came into question when my strong-willed toddler stood her ground for days with no sign of relent. Protection I knew deep down in my gut was necessary, brought up strangling fea as my teenager promised this would keep us from ever having a future relationship. 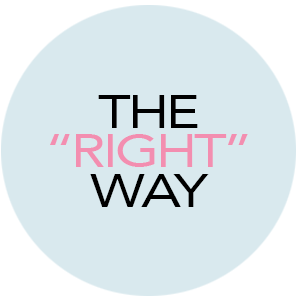 “RIGHT” became elusive and the future outcomes did not seem safe. Just so you don’t misunderstand, most of our family days were beautiful. Full of laughter, learning, relationship, and adventure. We spent countless hours reading, playing in the yard, engaging in church activities, theatre, sports, friendships, and anything else we could possibly do to enrich our children’s lives. But it was never able to ensure the outcome. I am not insinuating that parents shouldn’t equip themselves in God’s word, and other ways, with advice on parenting. Nor am I saying that when that advice is harder than expected, or a little unclear, you should just give it up. What I am saying is there is no safety in these things and depending on yourself to do this thing “RIGHT” will leave you frustrated and afraid. My oldest daughter is turning twenty in four days, my son is graduating high school this year, and my baby child is 14. They are all beautifully gifted and beautifully flawed and absolutely able to be used by their creator. You see, they are God’s children. Not just mine. They are entrusted to me for a season and His purposes. He cares for their destinies more than I do and He will bring them to pass. We are simply to love, pour out what we have, and rest in God’s promise that He will be with us. He will strengthen us and help us. He will uphold us with His righteous right hand (Isaiah 41:10). The only way to truly get this thing “RIGHT” is to have faith in the only one who is able to do exceedingly abundantly above all that we ask or think and pass that on.